We teamed up with our blogger babe friend, Emily from Go Haus Go, to bring you a cute holiday DIY! We're so excited to share a fun DIY that we've been working on! So, obviously as part stationery + gift shop we have a real soft spot for cards (+ let's not forget we have our own line of greeting cards!) 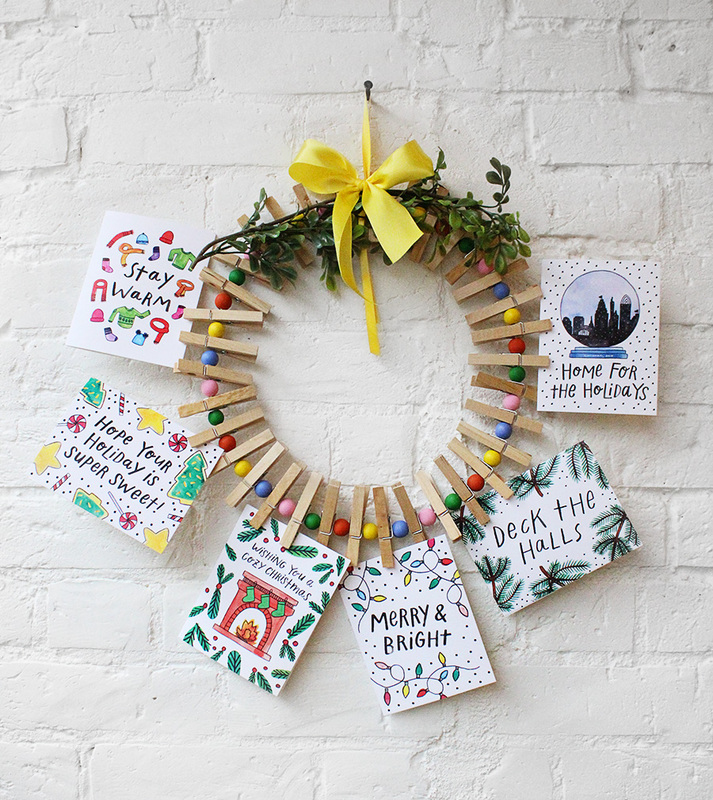 We love sending them nearly as much as we love receiving them, and we wanted to create a way to show off all the sentiments you receive this year. When brainstorming ideas we had to consult with our friend and local DIY + design blogger, Emily May from Go Haus Go. We've been a fan of hers for awhile, whether it's her ongoing house adventures or her adorable kiddos we knew she'd be able to help us get organized for the holidays! She came up with this cute holiday card wreath, which functions as both a decoration by itself + a really cute way to display your holiday cards! Emily has the full tutorial on her blog but we'll give you a spoiler, it's soooo easy to put together and really fun to customize. We, of course, had to make ours with the Handzy colors and a little yellow ribbon to top. So head on over to Go Haus Go to learn how to make one for yourself! And remember to #handzymakes if you share any DIY you see on our blog!